Andrew joined Watsi on November 7th, 2014. Four years ago, Andrew became the 613th member to automatically support a new Watsi patient every month. Since then, 4,484 more people have become monthly donors! Andrew's most recent donation traveled 8,700 miles to support Rahim, a boy from Tanzania, to fund orthopedic surgery. Andrew has funded healthcare for 53 patients in 10 countries. 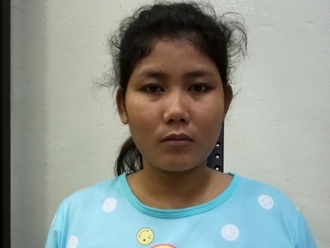 Panha is a woman from Cambodia. She has one son and three daughters. She likes to watch TV and spend time with her family. 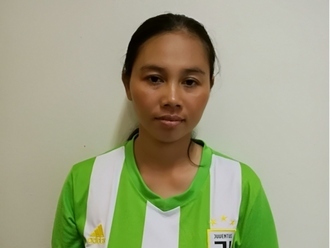 Five months ago, Panha fell down and dislocated her left elbow. She has difficulty bending and using her arm and is in chronic pain. She needs to undergo an open reduction procedure to help her regain function in her arm and elbow. Surgery is scheduled for December 12 and will cost $390. She says, "I hope after the surgery I have no more pain and can work normally." Naomi is a child from Tanzania. She is in nursery school. Naomi was diagnosed with genu varus. Her lower legs are angled inward. This condition is typically caused by an excessive accumulation of fluoride in the bones, which often stems from contaminated drinking water. As a result, she has been having trouble walking and going to school. 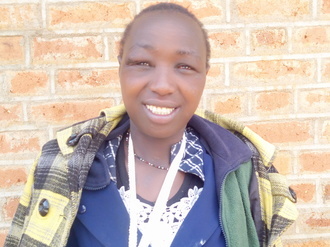 Our medical partner, African Mission Healthcare, is requesting $940 to fund corrective surgery for Naomi. The procedure is scheduled to take place on December 7. Treatment will hopefully restore Naomi's mobility, allow her to participate in a variety of activities, and greatly decrease her risk of future complications. Naomi’s mother says, “This problem is making my daughter not walk well. Please help her get treatment." Samuel is a child from Tanzania. He is the ninth born in a family of ten children. Samuel’s father is a farmer who says the change in climate has made farming harder and more unreliable. Samuel was diagnosed with bilateral genu varus. His legs are bowed outward at the knees. This condition is typically caused by an excessive accumulation of fluoride in the bones, which often stems from contaminated drinking water. As a result, he complains of pain after walking for a while. Our medical partner, African Mission Healthcare, is requesting $940 to fund corrective surgery for Samuel. The procedure is scheduled to take place on July 6. 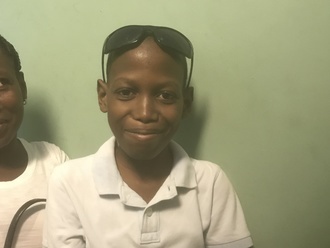 Treatment will hopefully restore Samuel's mobility, allow him to participate in a variety of activities, and greatly decrease his risk of future complications. Samuel’s father says, “I didn’t know my son needed treatment for his condition. Thank you for enlightenment and I am really thankful for your help." Than is a 30-year-old man from Burma. He lives with his friend, and they occasionally host Karen National Union (KNU) members. He currently works as a guard at one of the gates of the KNU area in Karen State, Burma, but he does not get paid. A few years ago, Than and some other villagers were driving to buy wood at a timber shop. He was sitting on the truck bed when one of the car’s tires burst. When he tried to jump down from the truck, Than's left leg was hit by two heavy boxes, which broke his femur. Although he received treatment at that time, his femur has not healed properly. He is suffering from a significant walking impairment and constant pain in his left leg and his knee. Because his femur did not heal properly, he cannot walk on his own but requires crutches. With the help of our medical partner, Burma Children Medical Fund, Than will undergo surgery to reset his fractured bones and ensure proper healing. The procedure is scheduled for April 24 and will cost $1,500. After surgery, he will be able to fully work and walk again. “I hope that I am able to get a job and support my mother, once I am able walk again. Thinking about my current situation saddens me a lot," says Than.